How Many Grammy Awards Did The Beatles Win? . 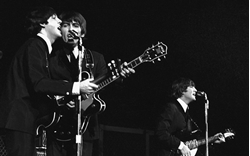 Beatles Radio: The Beatles, Solos, Covers, Birthdays, News The Fab 4 and More! Do you judge your favorite actors and films by how many Oscars they win? No, no one does, but it’s nice to be recognized. For some reason, the Academy frequently does a poor job of awarding some deserving artists every year. The same goes for every awards show, and it’s not hard to figure out why. There’s just no exact science to these things. Just look at the person who’s racked up the most Grammy Awards in history: George Solti. The most common response will be, “Who? ” It’s a good question. The answer is: a Hungarian classical conductor who lived from 1912-97. He won 31 Grammys. Behind him is a two-way tie between Quincy Jones and Allison Krauss. If you’re looking for your favorite rock band — say, The Beatles — that’s also the most popular recording artist of all time, don’t. They only won seven, and a mere handful while they were together.